Hey, Drew here with another review. 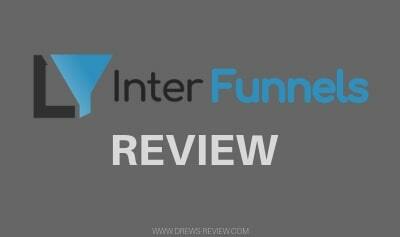 This time we are going to take a look at Interfunnels. 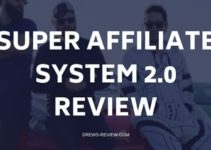 This review will be a walkthrough of how it works, it's features, pros and cons and also how it compares to Clickfunnels. It's no secret that the king of funnel makers is Clickfunnels. Clickfunnels took the world by storm shortly after launching and it's no wonder - it's made many people rich, not just Russel Brunson - co-founder of Clickfunnels. 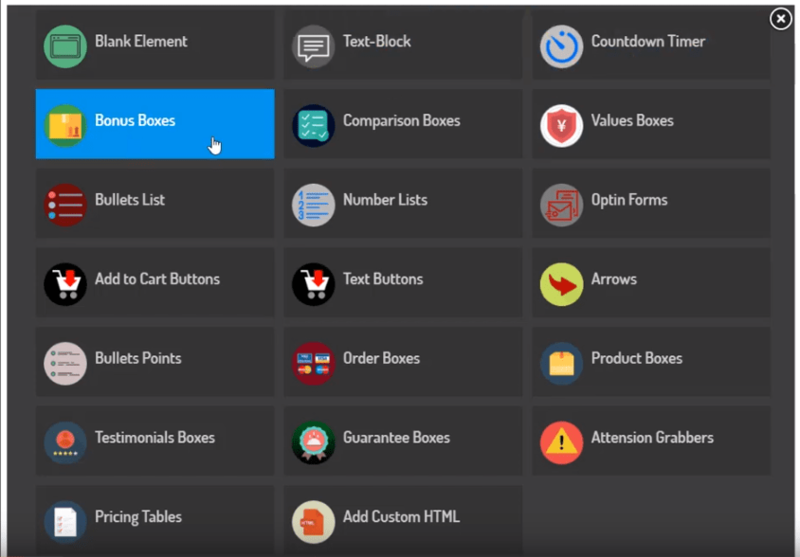 Enter Interfunnels, a new funnel tool that pretty much does the same as Clickfunnels does, just a different layout, different landing pages, graphics and so on. 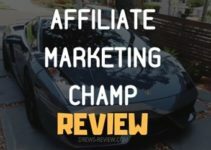 One benefit that most people will immediately gravitate to is the price, it's much cheaper than Clickfunnels with the Lite version starting at just $27 a month during the launch. This supposedly will be going up shortly. If you understand the concept of a sales funnel then just skip this part. Essentially a sales funnel is a variety of steps that a customer will take to achieve an end result - which is conversion. This can be achieved by presenting them an offer with a free download or something else to entice them in exchange for their email. You would them present them with a sales page and your offer. Depending on their next action, they will either be presented with another offer, an upsell or downsell. This can be set up any way you wish and the goal here is to maximize the amount of conversions. I was given access to a demo account of Interfunnels before it went live from the fine folks at Interfunnels. Let's see how this bad boy works and if you're a Clickfunnels user you will probably see some simliarities and differences. So once you login, you'll be presented with a stats page that looks like this below. You simply choose the funnel you want stats on and you'll be presented with data such as visitors, leads, impressions, sales, and repeat sales. It looks a little cheesy but who cares, it's the data that counts. 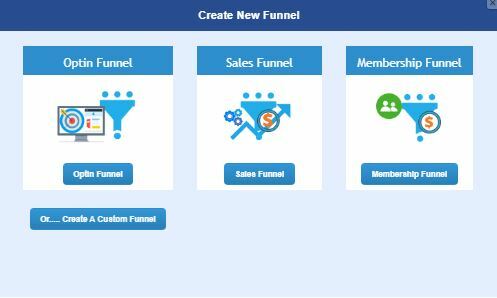 Next, to create a funnel you simply click on "Create New Funnel." You can choose between an optin funnel, a sales funnel, membership funnel or even a custom funnel if you wish. Next, you simply name your funnel. 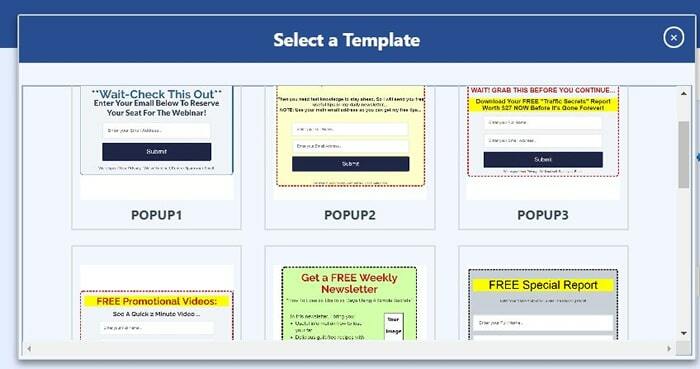 You can see that this simple funnel starts with a squeeze page where you will obtain an email address. The next phase of the funnel is an OTO or upsell, followed by the thank you page and finally a popup. Let's start with the squeeze page. 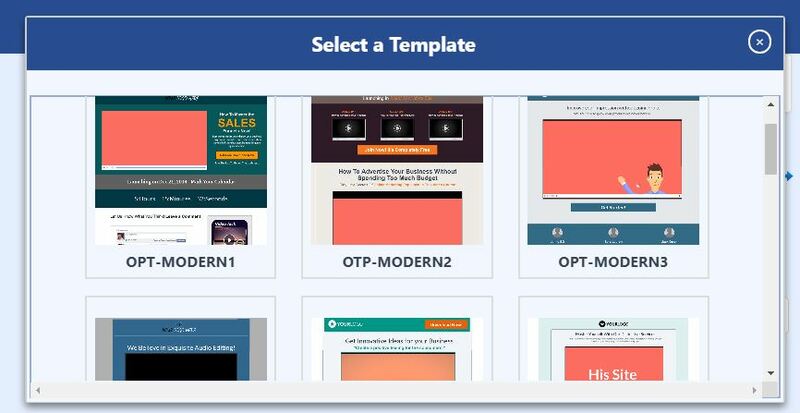 There were about 17 templates available for the sqeeze page for the optin funnel. It's my understanding there will be more templated added here. The templates are of decent quality with a good mix of modern and classic look options. 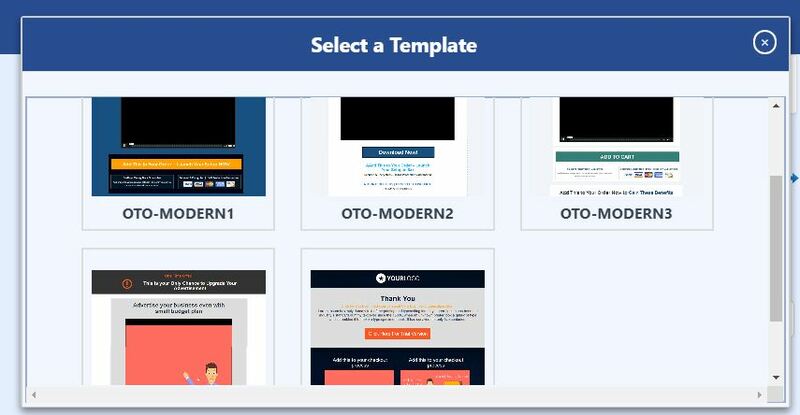 There were just 5 OTO / Upsell templates to choose from. All were "modern" style. They are not quite as good as Clickfunnels type OTO's but keep in mind you do have the option to edit them. That goes for all templates as they all cam be updated with editor so you can customize to your liking. 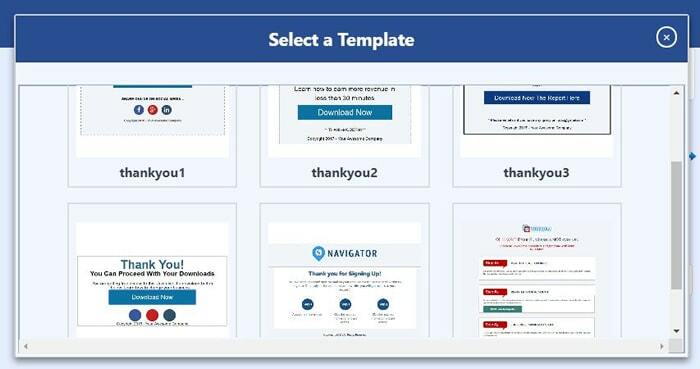 There are 6 thank you page templates to choose from and all are actually pretty good quality. You can't really screw up a thank you page! Again, these are editable. I do suggest adding a video here just to let your new member know what is to be expected from your newsletter/offer or even use that as an upsell - just an option! You have 10 to choose from and they're all pretty basic. Even one "old school" pop up is an option. Again, these are customizable. Once you have chosen your templates, you can edit any one of them by clicking "edit page" to the right of the funnel. The url can be hosted by interfunnels (kinda like how Clickfunnels does it) or you can use your own domain/hosting. I strongly suggest you use your own domain and hosting especially if you want to brand your pages. For simple campaigns using the default hosting is fine. 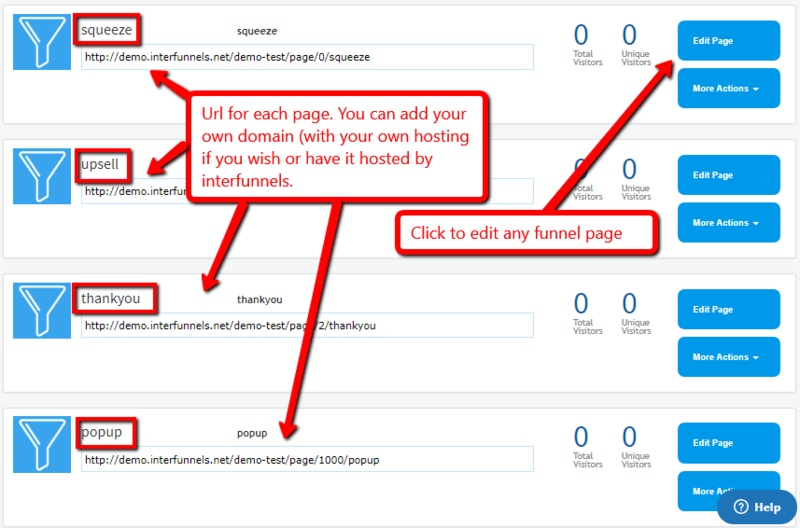 Interfunnels provides you with an Amazon S3 account to upload your images. There's no necessity to get your own account since they take care of this for you. Interfunnels fully integrates with Paypal and Stripe. There's also several other payment options that are popular in other countries that you can choose from. Setting payments on your pages is pretty easy with the built-in integrations. If it's not on the list, you should still be able to use your autoreponder, you'll just need the code from your form. Interfunnels pages appear to be mobile friendly from my testing. They claim that it is so it's been confirmed. Mobile gets more searches so it better be! 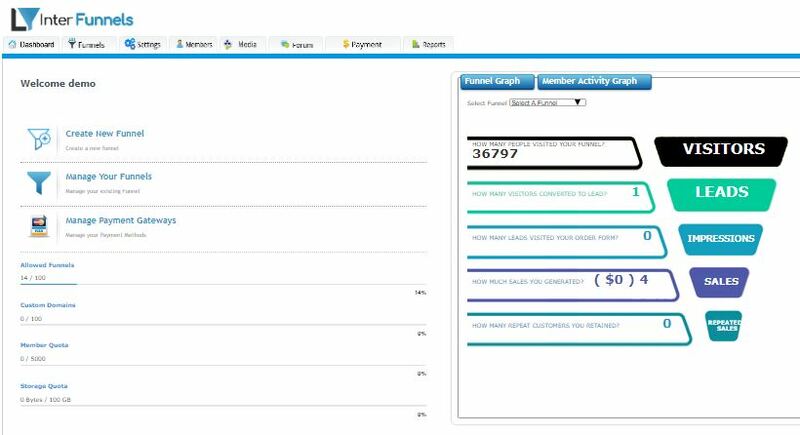 Video tutorials are included inside the members area dashboard. You are able to contact support as well. I am not sure of the turnaround time because the true test will be on launch week to see if support can handle the inquiries. Interfunnels has 3 options. Lite, Pro and Agency. According to their salespage these prices will go up soon after launch. This remains to be seen if it is a scarcity tactic or not. For details on the different packages check out the sales page here. I was skeptical at first because it seems that everyone is trying to mimic Clickfunnels these days. However after trying out the product I am pleasantly impressed. It seems like a good cheaper option to Clickfunnels and does have a similar "feel" to it. If I were to choose between the two and not having price as an issue, I would still choose Clickfunnels because i'm a lot more familiar with it. Interfunnels is very new, so i imagine it's going to get only better from here. They say they will be adding new templates to their product so this is a plus. For those that want to get Clickfunnels but are put off by the price, Interfunnels is a very good option. I wouldn't recommend it if it wasn't. 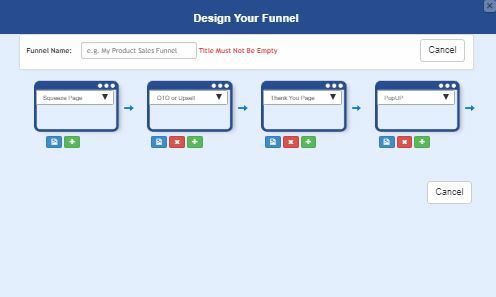 For those using Clickfunnels already and want to switch - you could, but you'll have a bit of a learning curve with the new software. It's similar though, so shouldn't be a problem. 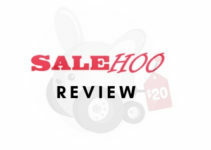 Considering its inexpensive and offer some bonuses as well, I feel good about recommending this product. Click here to check out the bonuses and grab Interfunnels. Please be aware the price will go up shorlty, according to the website. A great funnel builder for the price. Not as refined as Clickfunnels but it’s a new product and we should see further updates.